With rising house prices threatening to shut home buyers (especially first timers) out of the market, the Fear of Missing Out is reaching a fever pitch. And desperate times call for desperate measures- at least from the point of view from prospective home buyers. What’s a little white lie on your mortgage application if it gets you what you want? The problem is if you can’t afford a home on paper, then chances are you can’t afford it in real life either. And the belief that overstating your income just to get the home you want is a victimless crime is wrong- chances are you’ll end up the victim. 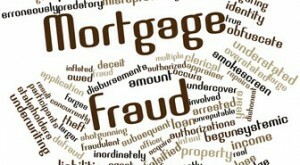 A new report from Equifax shows that mortgage fraud is on the rise in Canada, due in part to rising house prices. Eight per cent of respondents said that they hadn’t disclosed the whole truth on a mortgage or loan application. “If you have your heart set on homeownership, it can be truly heartbreaking if your mortgage application is denied. However, as disappointing as that experience is, the sadness and stress pales in comparison to what you’d experience if you were ultimately responsible for a debt that is beyond your means,” says Jeff Schwartz, executive director, Consolidated Credit Counseling Services of Canada. “Buying a house is a hugely emotional experience, and many people have home ownership as a major life goal. If their mortgage loan application is turned down, there is the temptation to do whatever you have to do to get the mortgage so that you can buy your dream home. Remember, mortgage criteria is in place not just to protect banks from risky loans; it is there to help consumers from biting off more debt than they can chew,” says Schwartz. It may feel like the system is stacked against you, but try to apply a logical lens to your mortgage application. If you are stretched thin already, what would happen if you lost your job– or if your income was reduced even a little bit? Adding to that potential problem, what would happen to your debt payments if mortgage rates went up (which indications suggest that they will in the near future)? When you are maxed out, it doesn’t take a whole lot to shift from getting by to going under. Is that worth the risk? It sort of turns the idea of that dream home into a bit of a nightmare. So instead of figuring out how to answer the questions on the mortgage application in order to qualify, why don’t you devote a few months to changing your financial situation, so you can afford that home you want with wiggle room in your budget. Start by paying down debt. At the same time, ramp up your savings so that you can have a bigger down payment. It’s possible that it might be time to consider a more affordable housing option. For instance, if your heart is set on a detached home, but you qualify for a lower mortgage, look at townhomes or condos. You may also be able to stretch your house hunting dollars further if you change to more affordable neighbourhoods. Is your debt load preventing you from achieving your dream of home ownership? Start paying it down today in order to realize your goals. Call one of our trained credit counsellors at 1-888-294-3130 or get started with our online debt analysis.